The house is in the middle of the olive trees and fruits trees. The house is at only 250 meters from the village of Aramo, a tipical Middle Age village. You can have the opportunity the buy the special oil that comes from the olive trees around the house and eat the seasonal fruits. I love travelling and meeting people! This is the house of my grandfather! with a lot of olive trees around you can regenerate yourself and taste the olive oil produced by the owners. the kitchen is totally at disposal. Take the motorway A 11, then take the exit CHIESINA UZZANESE and follow the sign for Pescia. In Pescia you will meet the owners. 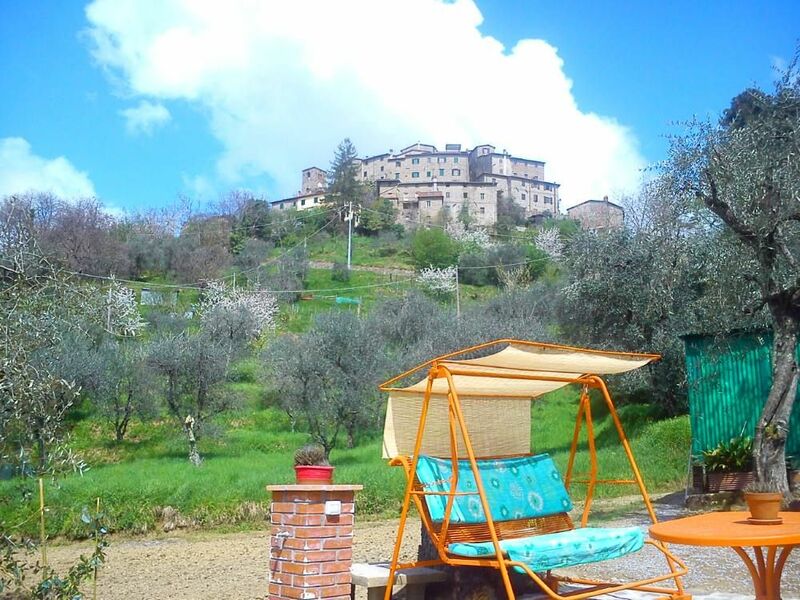 In the area there are very good restaurant, with a regional Tuscany cuisine. You are at only 25/30 km from the Chianti area. THE SUPPLEMENT FOR THE FINAL CLEANING IS 30 EURO FOR THE WHOLE STAY. THE HEATING WITH GAS COST A SUPPLEMENT PER CUBEMETER, FROM OCTOBER TILL END OF APRIL. The wood for the fireplace is offered by the owners. The wi-fi is free of charge, outside of the house.